Also offering our new boiler installation service across Ayrshire, covering Irvine, Kilmarnock, Dalry, Saltcoats, Ardrossan and all surrounding areas. In search of a gas engineer in Ayrshire to install a new boiler in your home? Please contact our trusted gas engineers in Kilwinning by calling us on 01294 558374 or use the contact details down below. Is your current boiler on its last legs; are you looking for a boiler that will stand the test of time and provide your home with a reliable source of heat for years to come? Then you've come to the right place as we specialise in new boiler installations across Ayrshire. We always ensure that the boilers we install are reliable, energy-efficient and great value for money so that it can serve your home in the best way possible. Whether it's a straight combi boiler replacement or a system boiler to combi boiler conversion, our qualified boiler installers are on hand. 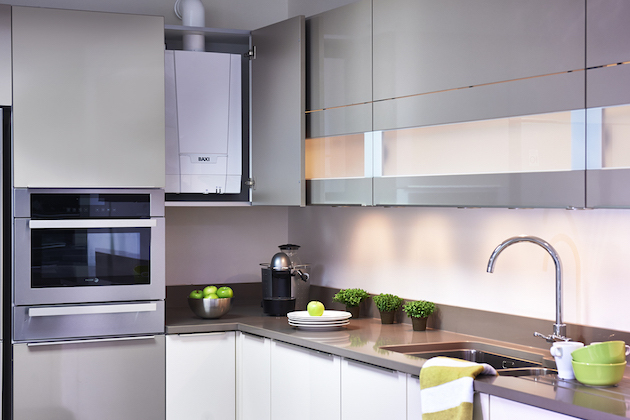 We can install boilers from a wide-range of manufacturers, so if you have a particular brand in mind, please get in touch with us and we'll help safely install your new boiler. We also offer financing options that allow you to easily manage the costs of installing your new boiler by spreading the costs over a set period. You can finance your boiler over several years and our finance options include no payment for 6 months, no deposit and no early settlement fee. Please contact us to learn more and we'll be more than happy to walk you through your options. Our experienced boiler installers have all the qualifications and experience necessary to safely install your new boiler. Most importantly, we're Gas Safe Registered, meaning we're fully qualified to install all types of gas-fired boilers. Please ensure that you check the credentials of every gas engineer that comes into your home as failure to do so could place your home and loved ones at huge risk. We're also SNIPEF (Scottish and Northern Ireland Plumbing Employers' Federation) Registered, having continuously met their strict regulations. You can have peace of mind when you choose A & W Plumbing & Heating Ltd to install your new boiler in Ayrshire. To get in touch with our gas engineers to arrange a free consultation, please request a quote via our contact form and we'll get back in touch ASAP or give us a call today on 01294 558374 or 07917 585959. We'll look forward to hearing from you soon and installing your new boiler.